For the first time in our 21-year history, Artpace has invited guest curators from the International Artist-in-Residence program to select artists for the Hudson Showroom exhibition space. This September marks the first such exhibition, with Objectives, artists have been selected by Denise Markonish, Fall 2016 Artpace Guest Curator and curator of MASS MoCA. Selected artists are Jessica Halonen (Austin, TX), Ryder Richards (Dallas, TX), and Kamila Szczesna (Galveston, TX). Ryder has four works in the exhibition. Three are related to tires as consumer debris repurposed. 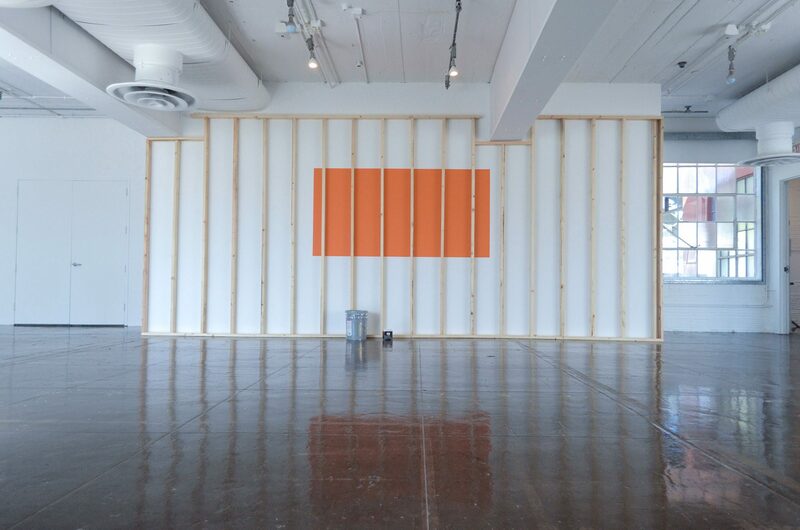 Redaction of Labor III is an art action with three phases: 1) a stack of materials, 2) Ryder using the materials to build a wall in the gallery, and 3) the blank, white wall in the space. Related to invisible labor, the piece considers art economics and minimalism, while drawing from Ryder’s other works Redaction of Labor II and Invisible Hand. The performative act of building the wall occurred during the week of November 14-19, 2016.